Over more than 15 years the exemplary record of Midstream’s security teams has provided residents with peace of mind. This is the result of the focused and diligent work of well-trained staff and some unique security features. 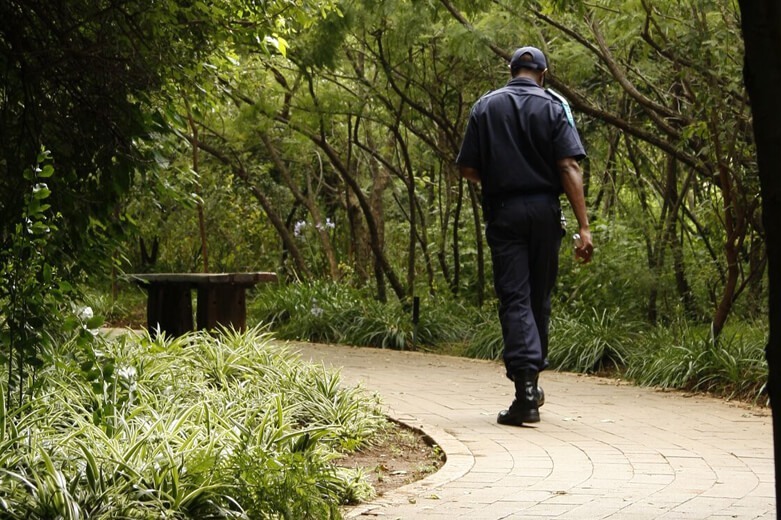 All the Midstream Estates employ their own security officers, with armed response personnel from Bidvest Coin contracted to provide tactical support. The Midstream security officers receive continuous training and have also been trained in basic firefighting skills. One of the unique features of the Midstream security officers is the ‘bobby-on-the-beat’ role they play, where every house will be passed at least four times a day. With their extensive local knowledge, the officers are able to notice things that may be untoward or see where a resident may have forgotten to close his car or garage door. Electronic equipment and solid barriers ably support the security personnel. The biometric access control is continually being upgraded to bring the latest technology to our residents to provide the fastest possible access. During 2017, the security team added the licence plate recognition camera system supported by a centralised 24/7 control room linked through the cloud to a database system with information on profiled, suspicious vehicles. Since the inception of Midstream, a 5-meter patrol zone has been established on the perimeter where a double electric fence offers a shield of protection to Midstream residents. This 40km long perimeter feature is instrumental in maintaining an elevated level of security.